Darrin was born and raised in Missoula, Montana. His grandfather, a USMC Colonel, was instrumental in developing Darrin’s character. The Colonel taught the grandchildren important life lessons as they helped him work his land, and as he led them on horse pack trips into the wilderness. The Colonel taught them how to care for animals and humans, to be prepared, to keep a good camp and to leave every place better than how you found it. Darrin attended the University of Montana, studying sociology with an emphasis in counterculture groups and religions. He joined the University rugby team, a sport that taught Darrin about teamwork and leadership. Rugby turned the timid boy into a confident man who knew he was capable of leading and effecting positive change. Darrin and his brothers in the Missoula rugby community mounted a response to the 2004 Indian Ocean tsunami to show brotherhood with our Sri Lankan rugby mates. Arriving in Sri Lanka within 10 days of the devastating disaster, Darrin and his friends set up quarters in Komari, a small Tamil village on Sri Lanka’s East Coast that had lost 90% of its infrastructure to the waves. Darrin and his team started work in Komari immediately upon arrival. They built classrooms, cleaned wells, built homes and businesses, planted gardens, and conducted well baby and well mother clinics. They realized that to really make a difference, they would need to make a long-term commitment. Big Sky Brewing Company, The Missoula medical community, and elementary schools from through out the Pacific Northwest formed the support system. Darrin returned to USA in 2007 from a village and country that had reentered the civil war that had been waging in Sri Lanka since 1983. Darrin was asked to “do something for US combat veterans”. Research and conversations with Vets and Vet service workers led to CFDR organizing Combat Veteran Retreats. As time went on, this became the focus of the non-profit, and the name was changed to Veterans Community Response. Darrin remains passionate about working with Combat Veterans and building strong community. He believes that it is the duty of the citizenry to bring our warriors home from war and give them every opportunity to find satisfying and productive civilian lives. To this end, VCR continually trains a growing cadre of community responders. Our goal is to have a tight knit, highly functioning disaster response team of Vets who will be able to respond to a wide variety of needs as they arise. Dante grew up in a small town in the foothills of the Cascades of Northern California where he had constant access to the outdoors. The majority of his youth was spent exploring the woods and canyons, swimming in creeks and rivers and sleeping outdoors as much as possible. Dante enlisted in the United States Marine Corps prior to graduating High School through the delayed entry program and after enjoying one final Northern California summer with his buddies, he shipped to MCRD San Diego for boot camp in the fall of 1999. Dante served five years in the Marine Corps as an Aviation Radio Repairman. During his service, Dante was stationed in 29 Palms, California, Okinawa, Japan and Aurora, Colorado. While stationed in Colorado, Dante trained reservist and was part of a funeral and color guard detail. Dante had the honor taking part in numerous funeral ceremonies for Marines that served in WWII, Korea, Vietnam, during Peacetime, that were killed in action in Iraq and Afghanistan, and, unfortunately a Marine that killed himself after two deployments to the middle east. Dante had several friends from High School, some that he grew up with since preschool, join various branches of the military, most of whom deployed to Iraq and/or Afghanistan. Many of his buddies experienced physical and/or psychological injuries from their war experiences. Both of Dante’s grandfathers were veterans, one served in WWII and one in the Korean War. After separating from the Marine Corps in 2004, Dante knew he had a mission to support his fellow veterans in their post war readjustment process. Fueled by watching his friends’ readjustment challenges, his family history of military service, and his experience at the funeral for the Marine who took his own life after combat, Dante used his GI Bill and VA Vocational Rehabilitation, and often worked full-time jobs, to earn a Bachelors in Psychology at the University of Idaho and a Masters of Social Work at Eastern Washington University. Dante conducted his MSW internship at the Spokane Vet Center, which evolved into a career upon graduation. Dante is now a Licensed Clinical Social Worker and has been working at the Spokane Vet Center with combat veterans and their families, veterans that experienced sexual trauma, and family members of military personnel who were killed in service for over 8 years. He is passionate about creating and offering veterans a broad range of options to achieve a meaningful post military readjustment. 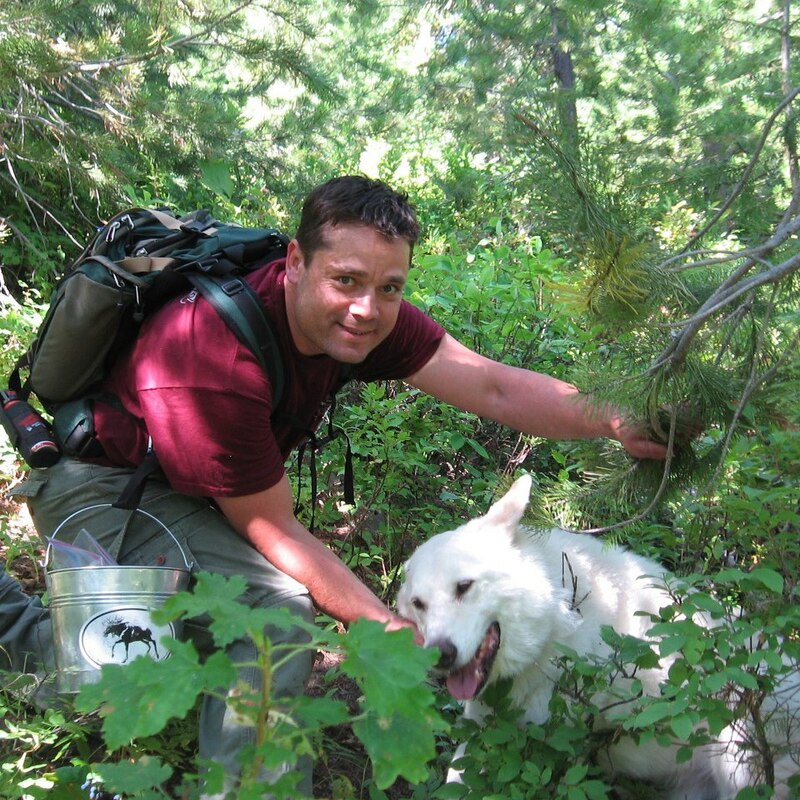 Dante Lives in Sandpoint, ID with his wife, son and dog. Although he continues to enjoy numerous outdoor activities, he primarily focuses his time outside of work and nonprofit service on spending time with his family. DAVID M. BAIRD is a Licensed Clinical Social Worker that has worked with Veterans, military members, and their families since 1995. Dave is a 21-year Navy Veteran, having served on submarines and in support of Operation Desert Storm and as a Navy Seabee in support of Operation Enduring Freedom. He retired from the Naval reserve in July 2009 as a Chief Petty Officer. Dave has served as the Director of federal mental health agencies within the Veterans Health Administration that serve combat veterans and their families in Spokane, WA, Walla Walla, WA, and in Reno, NV. In each of these centers Dave has been instrumental in partnering with community non-profit agencies to accomplish the goal of expanding services beyond traditional mental health counseling, with an emphasis on wellness, comradery, and holistic readjustment strategies. Under Dave’s guidance all three agencies enjoyed significant growth in team depth and breadth, scope of service to veterans, and overall volume of veterans served. He is beyond pleased to be a board member for Veterans Community Response, an agency that perfectly aligns with Dave’s personal and professional values. Born and raised in West Seattle, with detours to the Bay Area and Washington D.C., I was heavily involved with Boy Scouts, competitive swimming, lifeguarding, volunteer fire fighting and emergency medical work until my high school graduation in 1975. During a cross-country post graduation experience, I learned about a Para-Rescue program in the Air Force that transformed my life dramatically. Enlisting through, and serving with, the 129th Air Rescue and Recovery Group between 1976 - 1982, I received a wealth of training and field experience that laid the foundation for a 37 year fire service career that began in Redmond, WA and ended with retirement in Spokane Valley, WA. Along the way I acquired a BS degree in Fire Service Administration and a MS in Executive Leadership & Emergency Management. Over the past 3 + decades I’ve been the proud parent of two daughters, one son and grandparent to four g’sons and one g’daughter. I continued with community service through participation in youth sports coaching and umpiring, becoming a youth sports organization board member, organizing community focused special events, food bank work, political activism, mentoring of grade school students, working with the Redmond and Spokane Valley Fire Fighter Benevolent organizations, serving on the Spokane Valley Fire Fighter Scholarship selection committee and assisting with the operations and fund raising for Veterans Community Response and Spokane Veterans Forum organizations. After retiring from Spokane Valley Fire Department in 2016, I have been able to spend time involved in long neglected outdoor activities and travel, including two cross-country motorcycling adventures and backpacking into the the Alpine Lakes Wilderness Area. More importantly, time and energy contributing to helping organize, sponsor and conduct veterans retreats through the Veterans Community Response (VCR) organization and assisting with the operations of the Spokane Veterans Forum, in addition to the mentoring of veterans involved with regional court systems. I look forward to the continued development of the Community Response component of VCR, providing veterans with the opportunity to use their military background and skills in a productive manner while assisting communities prepare for, respond to and recover from disasters involving their towns and / or regions. While veterans contribute to communities through their contributions of time effort and energy, communities contribute toward the healing and development of veterans through recognition and appreciation of their previous military service and continued service to community. Dawn Hayden is an international development expert with 12 years of professional experience, including recent work supporting three USAID programs in Afghanistan and Sri Lanka. She specializes in designing and managing small grants programs and economic activities that promote political, social and economic transition in both disaster and conflict-affected communities with demonstrated expertise improving gender-based initiatives. Dawn started working internationally with Community Focused Disaster Response in the village of Komari in Sri Lanka as a volunteer in 2005. Her work in Komari instilled a passion for supporting communities to use their own expertise and experience to overcome insurmountable challenges. Ms. Hayden is committed to the work of Veterans Community Response. She believes individual changemakers drive transformation not only within their own lives but the lives of their communities one decision at a time. He has traveled all over this country and has taken the Pow Wow trail many times as a Men’s Northern Traditional Dancer. He is also a renowned speaker and story teller speaking at resorts, retreats, schools, and youth functions. He was a featured speaker at” Native America Speaks in Glacier National Park. He enjoys sharing his stories, songs and culture with all people. Roger has been a bounty hunter, private investigator, process server, counselor, youth camp director, teacher, and a case manager (just to name a few careers). Through all types of employment and locations, Roger has continued to be involved in his communities, caring for people with a special place in his heart for the youth and Veterans. He has been a counselor in life skills for youth and adult detainees. With a unique “no-nonsense”, bold approach, he has been able to reach many individuals. He also facilitates traditional circle talks, sweat lodge ceremonies, and cultural connectedness. He has been a Board member since 2009 with BTYR and also the Native Spiritual Advisor for the organization. Amongst other duties with VCR he is the builder and facilitator of the Sweat Lodges for the Retreats. He is a U.S. Army Veteran and specially trained Tribal Veterans’ Rep. 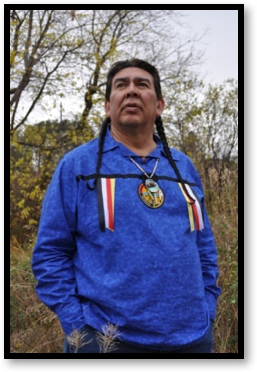 He lives with his wife and two dogs and they all enjoy traveling around the country doing various speaking engagements, trainings, and attending Pow wows.